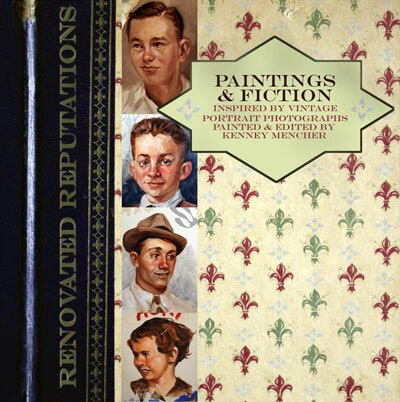 Kenney Mencher: A book and a painting. "Bob N. Frapples" 11"x14" framed oil and mixed media Kenney Mencher with signed book. A book and a painting. "Bob N. Frapples" 11"x14" framed oil and mixed media Kenney Mencher with signed book. A book and a painting. 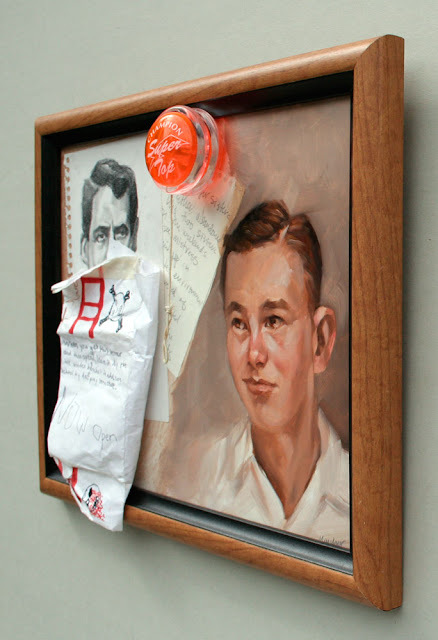 "Bob N. Frapples" 11"x14" framed oil and mixed media Kenney Mencher with signed book. A book and a painting. 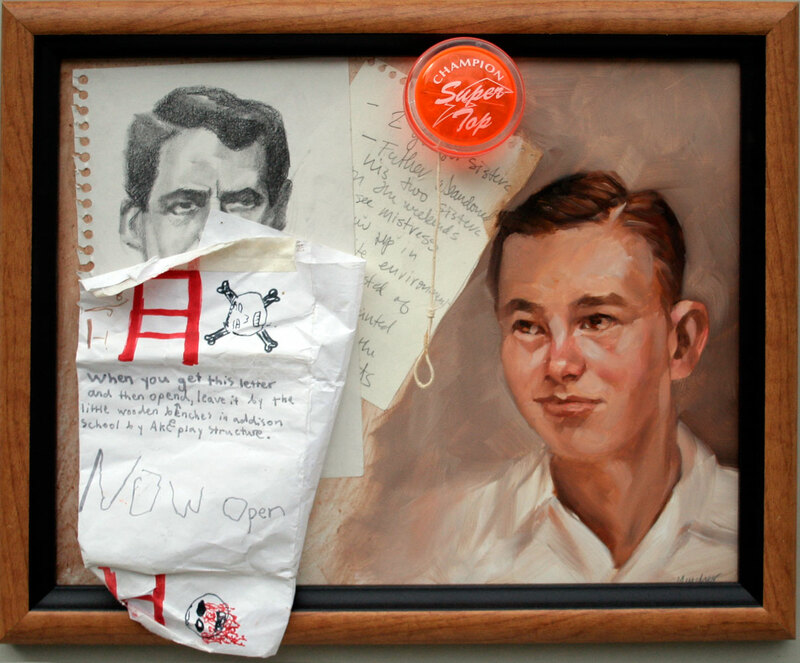 "Bob N. Frapples" 11"x14" framed oil and mixed media Kenney Mencher with signed book. Last year I had 3 shows and published a book based on stories written about each painting. I will send you a copy of the show catalog "Renovated Reputations" which is 8"x8" and includes ohoto illustrations of this painting along side some great fiction. Bob's mother held his belongings in her hand, only having enough energy to grip them and not even formulate a cohesive thought. She fingered the yo-yo, his favorite toy. She shuffled through papers she knew held the answers to her questions, but didn't bother looking at them. A skull and cross bones on one, a drawing of his favorite teacher on the next. She slammed them on the table next to her before holding her face in her hands, feeling the tears drip through her fingers like the blood from his forehead.